By Caz | February 7, 2019 | This post may contain affiliate links, which means we may receive a small commission, at no cost to you, if you make a purchase through a link. Read our Disclosure. 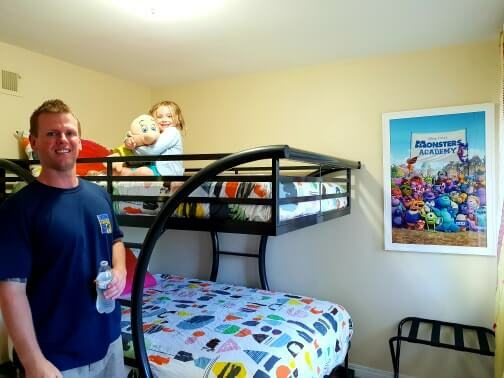 One of the best ways to enjoy your time in Disneyland Anaheim from an accommodation perspective is to stay in a Disneyland vacation rental. 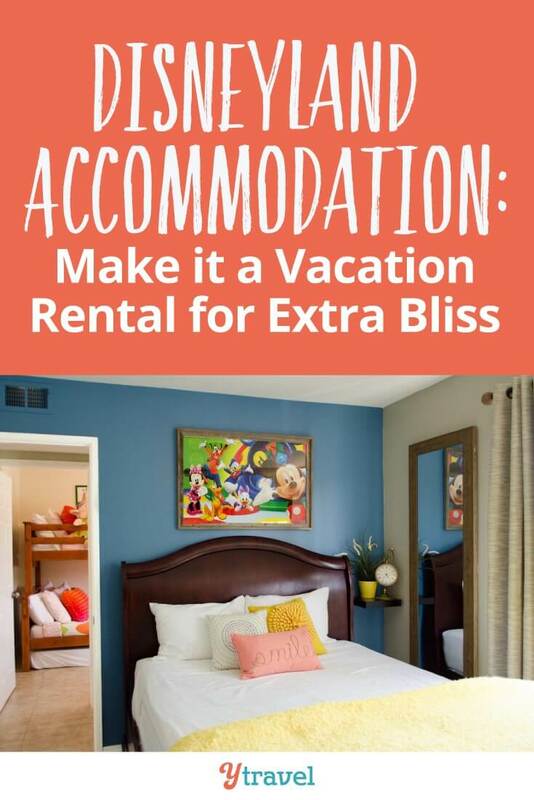 Especially if you are traveling in a large group of family and friends, or visiting Disneyland for several days – our family stayed for 10 days and saved good money by renting an apartment! 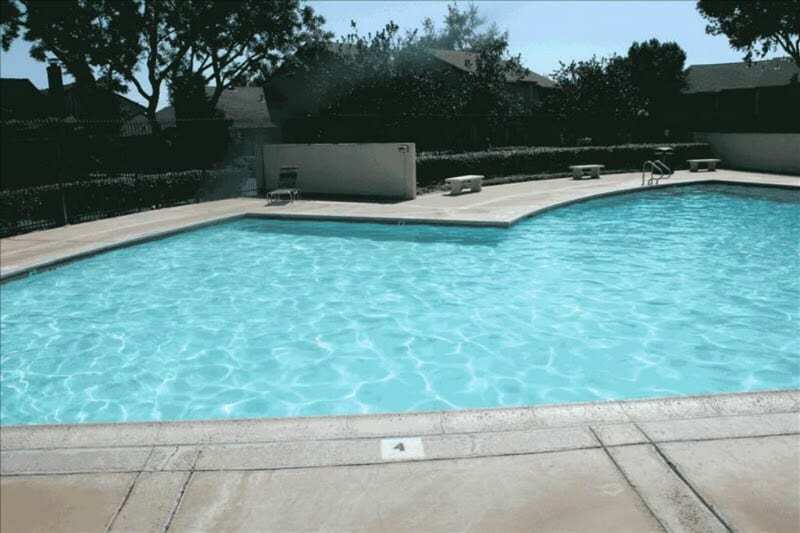 There are plenty of vacation rental homes and apartments near Disneyland in Anaheim California. It will save you money, be more convenient, and can often be closer to the park. Unless of course you stay at one of the Disneyland Hotel Resort hotels which are more expensive. You may want to experience the entire glitz and glamour of the Disneyland brand by staying at the Disneyland hotel (review post coming soon), or the convenience of a hotel – Check out these 15 hotels near Disneyland. 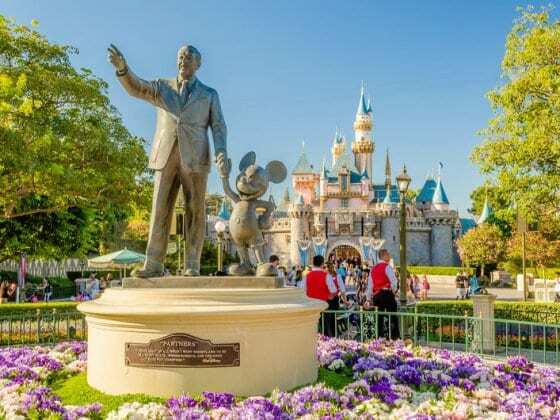 However if you want to feel more of a local homestay feel, then look no further than renting an apartment near Disneyland, Anaheim. We rented a three bedroom townhouse only a short walk to Downtown Disney and the gates of Disneyland and California Adventure Park. Renting an apartment is the most cost effective and comfortable accommodation for your Disneyland vacation. 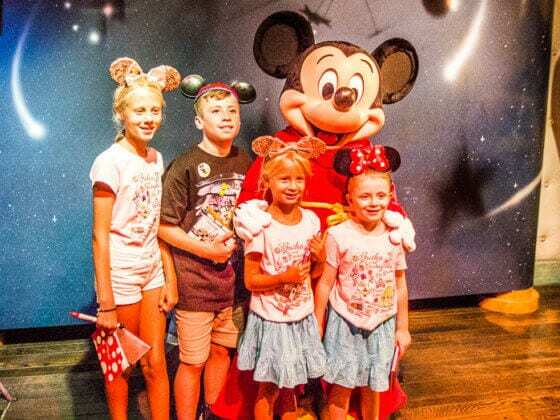 Here is a review of the affordable Disneyland vacation rental our party of nine rented. 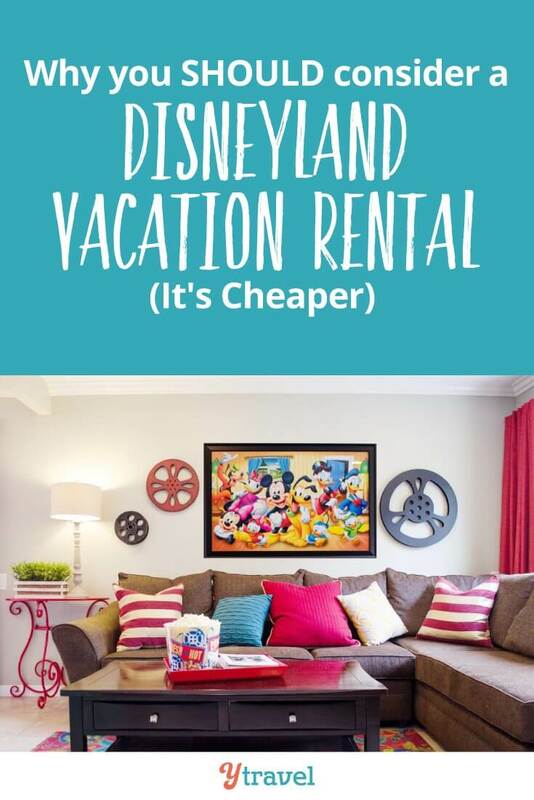 How Does the Cost Compare Between a Disneyland Apartment Rental and a Hotel Near Disneyland? 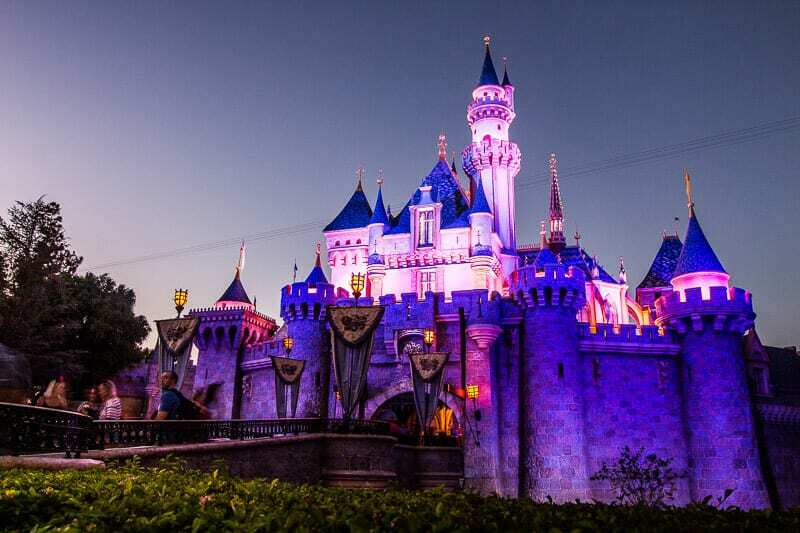 What are the Disadvantages of a Disneyland Vacation Rental? 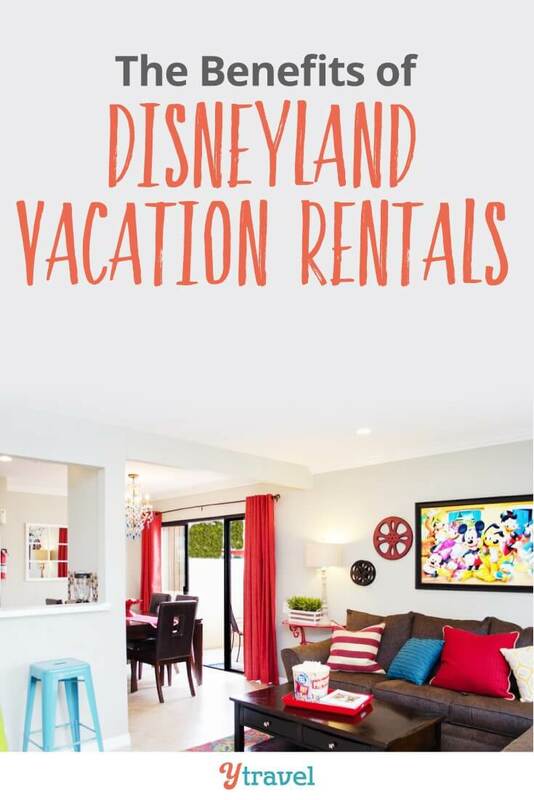 Where to Find your Disneyland Vacation Rental? We actually found our townhouse had more of a Disney theme in its décor than the Disneyland Hotel (they did have the actual characters roaming around though). 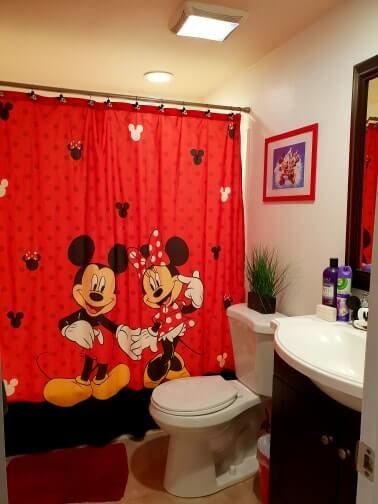 The kids loved their Mickey Mouse themed bedroom and bathroom. There are small touches throughout the apartment like Mickey and Frozen posters. 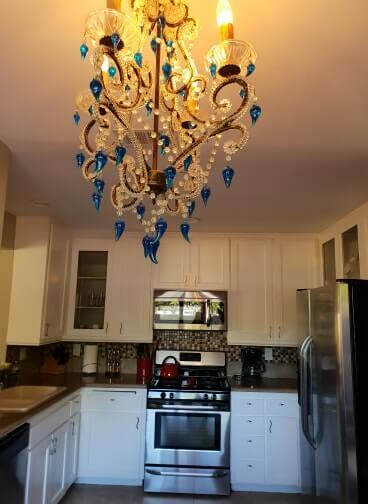 I didn’t even notice that the chandelier in the dining area was Frozen style until I saw my sister in laws pictures she sent to me for this post!! lol. The apartment complex looks a little run down and ugly from the outside, but don’t let that fool you, they are nice on the inside and that’s really all you care about. We had three bedrooms, one with an ensuite, and one had a bunk bed room. 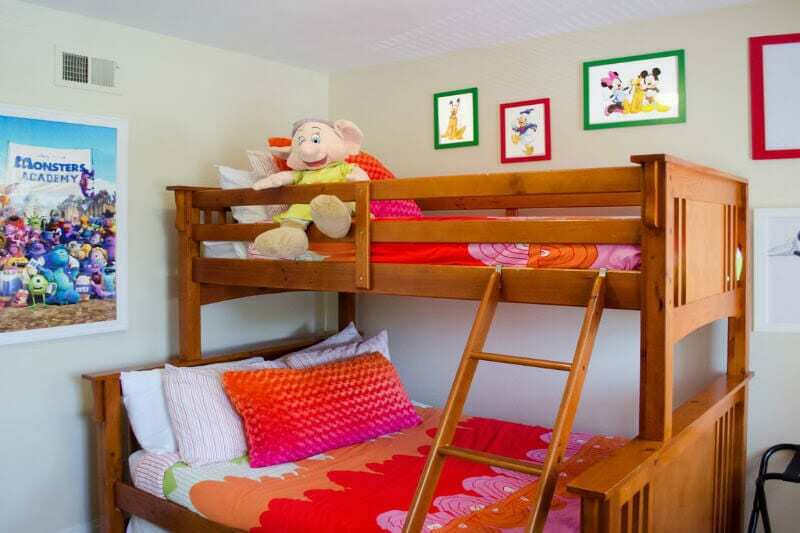 The bottom bunk bed was a double bed, which makes it the perfect Disney accommodation choice for families with more than two children. We had more adults than the bedrooms could accommodate, but there was a sofa bed in the living room, Craig and I slept on. It did break pulling it out on the third night, but the manager was very good about tending to that issue, and a faucet issue immediately. He had to buy a new sofa so unfortunately, we ended up on a blow up bed in the living room, However it was more comfortable than the sofa and easier to put up and down so we were okay with that. Two small courtyards gave us a nice place to sit with a cup of tea in the sun. 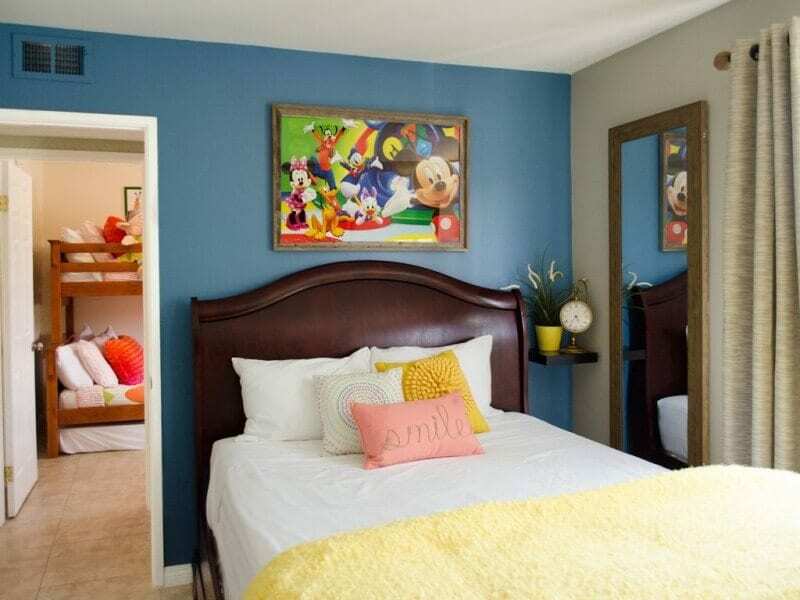 This Disneyland apartment rental can sleep up to 9 people. Okay so Disneyland food is not great, especially if you have dietary concerns. It’s also freaking expensive. We were so glad to have an apartment with our own kitchen. It meant we could all have a decent meal for breakfast and go straight into the theme parks without wasting time finding breakfast somewhere. On some nights we were able to even cook our own dinner rather than eat out. Not only was this cheaper but also easier as most of the restaurants in the Downtown Disney area have long wait times. It was far easier of us to keep snacks on hand for us to take into the park, including vegemite sandwiches for our fussy children. It was also nice to crash on the couch of a night with a glass of red wine and some TV. Well it didn’t happen much but it was good to have that homely space when it did. The cousins were very happy having space to play together in their bedroom. 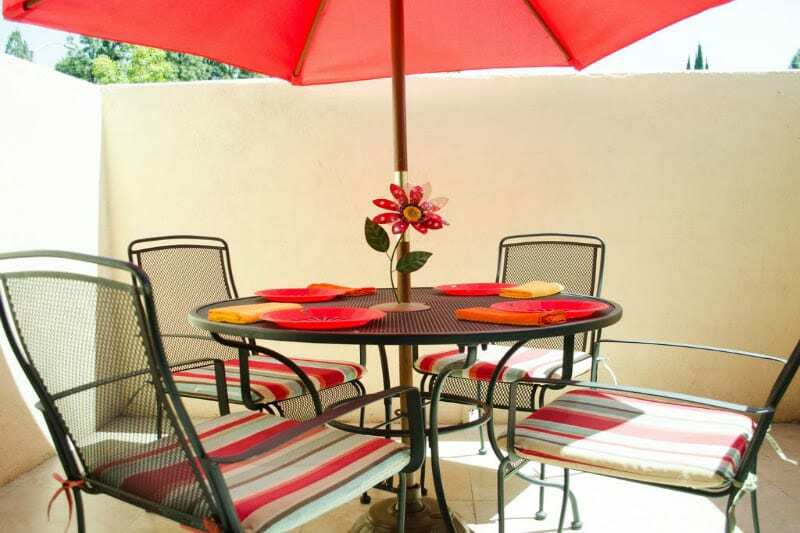 You couldn’t beat the location of our Disneyland vacation rental. It was around the corner from the entry into Downtown Disney from the northern end, which has much smaller lines to get into Disneyland Resort than the southern end located near the parks. We could be at the gate to Disneyland and Disney California Adventure in 10-15 minutes. It was closer than many of the hotels near Disneyland, except for the official Disneyland hotels. 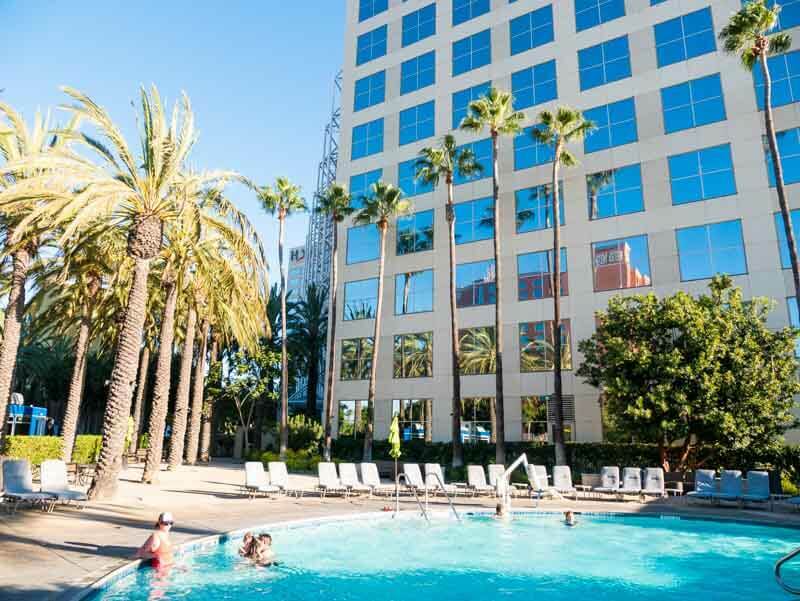 Other members of our family group stayed at Homewood suites by Hilton and near Anaheim Convention Center and they had a longer walk in or had to deal with Disney buses and the long lines that go with that. We were grateful after a long day at Disneyland park to walk home and not have to deal with anymore queues. It was also great to be right bear Downtown Disney for when we wanted to eat at night. It also was very handy, when I forgot a few things and had to race back to our apartment to get it!! It was about a 30-minute walk to a CVS or Walgreens if you wanted groceries, or we jumped in a 10 minute Uber ride to Walmart. Just a little bit further than that was Anaheim Garden Walk district which has more restaurants, including our favorite, The Cheesecake Factory! A short walk took you to a corner gas station which had basic supplies, including beer and wine! The apartment complex had a swimming pool area, which included a baby pool, spa (jacuzzi) and an adult’s only pool area. We appreciated this during those times we were taking a break from the Disneyland theme parks. I thought the pool area needed landscaping as it was very ugly and boring. There were not enough umbrellas to offer shade and it was annoying that the pool chairs were bolted down. The water was also freezing cold. But, the kids loved it and had a lot of fun at the pool. It was way too cold for me, but I generally don’t go in the water unless it’s like a warm bath so ignore my opinion on that one. 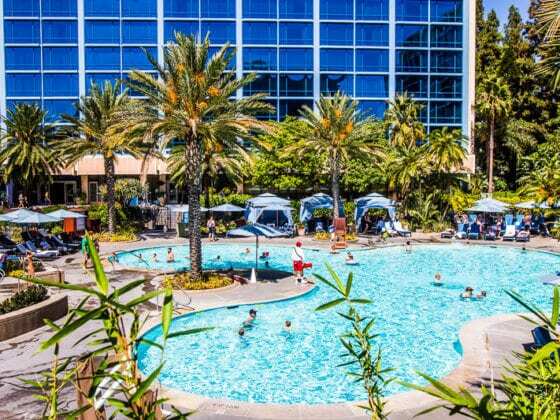 To be honest, you’re visiting Disneyland, not a resort, so this pool was more than adequate, especially if it means you can save hundreds by staying in an apartment rather than a Disney hotel or at the Disneyland Resort hotels. Ensure you do your research because the question of cost can sometimes be like, how long is a piece of string? There are many variables when considering an Anaheim vacation rental vs. hotel stay. My estimates below are average costs and can definitely wildly swing depending on supply and demand and property features. Our vacation rental cost around $180-$200 a night. The Kids suite at the Hyatt Regency where I stayed recently starts at around $159 a night on average and the VIP Kids Suite around $219. You will be further away from Disneyland with some of these hotels, so you will need to factor in parking or transfer costs to get to the theme parks each day. Some are about a 40-minute walk away, which after a long day at Disneyland may just be too much. Don’t forget hotels come with all sorts of fees, tipping expectations and expensive food choices. They also come with limited sized rooms. 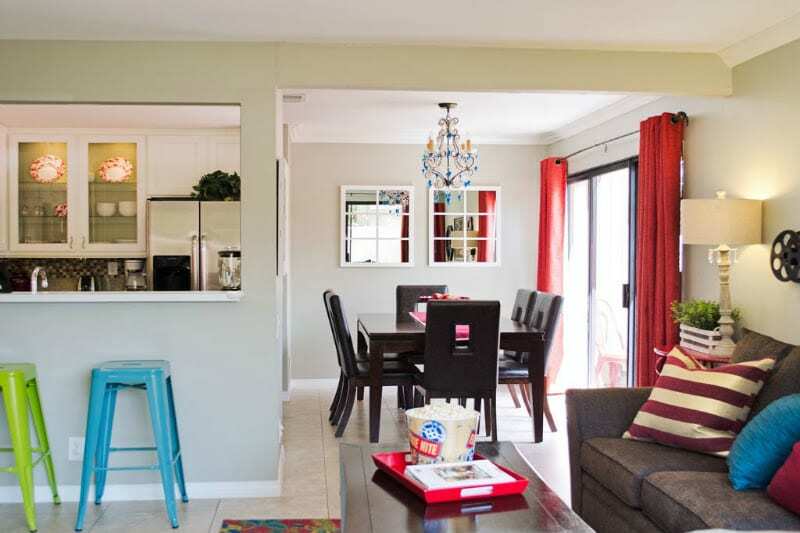 In a vacation rental, you can share the costs between large groups or multiple families. If you are staying just a few nights, a hotel may work out cheaper. It depends on how much the vacation rental charges for cleaning. Sometimes this can turn a good accommodation deal into an expensive one. Be sure to read this post, if you are looking for a hotel near Disneyland. We share 15 of the best to help you decide. You can also click here to find Disneyland hotel package deals. You can get save money by combining hotels with Disneyland tickets and some of the hotels come with free breakfast and parking. You can save on a Disneyland® Resort Park Hopper® & Universal Studios Hollywood™ Combo Deal by purchasing here. One disadvantage of renting an apartment near Disneyland is that you are still responsible for cooking and cleaning each day, but really if it saves you a lot of money this is an okay pill to swallow. Plus, as someone who has a lot of dietary requirements and cannot stand theme park food (and cost) then you’ll be elated to at least cook your own breakfast each morning and dinner, depending on how late you stay in the Disneyland theme parks. I also didn’t like that there wasn’t a gym I could use to keep on top of my fitness. Although, I did find a park about a 10-minute run away, which had an outdoor gym with pull up bars and workout routines listed on a board to follow. There was also a lovely grassed area in the apartment complex where I could do some Tabata workouts using my Grokker online program. But to be honest, you’ll be walking a lot in the Disneyland Resort. Those miles do add up to be a good workout. We were doing on average 11 miles/ 17 kms a day. If I was to do Disneyland again, and odds are we will, I would definitely rent a Disneyland vacation home again instead of staying in a hotel. It really made our Disneyland vacation more comfortable and relaxed. My sister-in-law rented our Disney townhouse from VRBO. See our exact apartment for rent here. There are quite a few similar townhouses in the same apartment complex as ours. Search on VRBO here. The area we stayed in is the apartment complex on the corner of Magic Way and S Walnut St. I really don’t think you can beat the location we had, especially for the price. I can’t find the exact apartment we rented on Airbnb, but this one is almost exactly the same. It’s the same size and layout in the same apartment complex. It’s only the décor that is different. Hurry! Disneyland has raised their ticket prices. We have access to a limited number of tickets at 2018 prices, including tickets for special events like Halloween and Star Wars: Galaxy Edge opening. Here is where you can purchase your Disneyland Tickets. 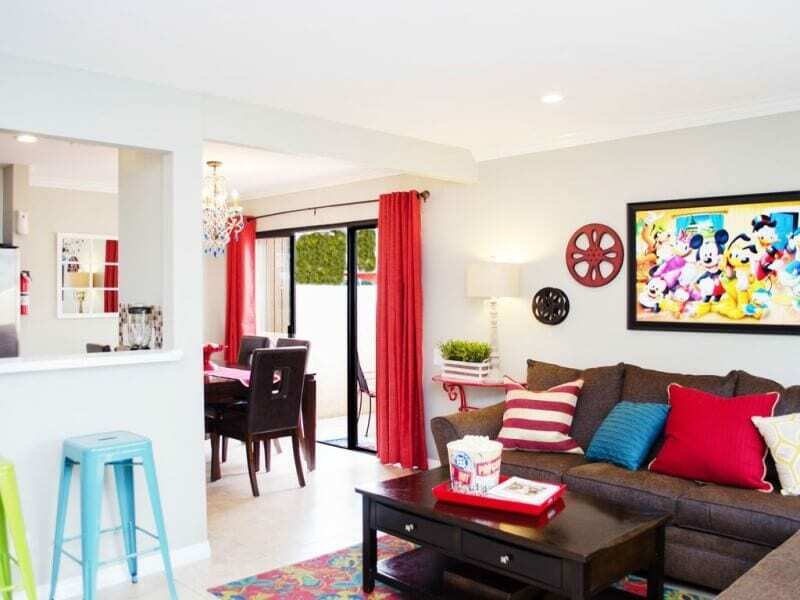 Have you stayed in a Disneyland vacation rental before? Any tips? 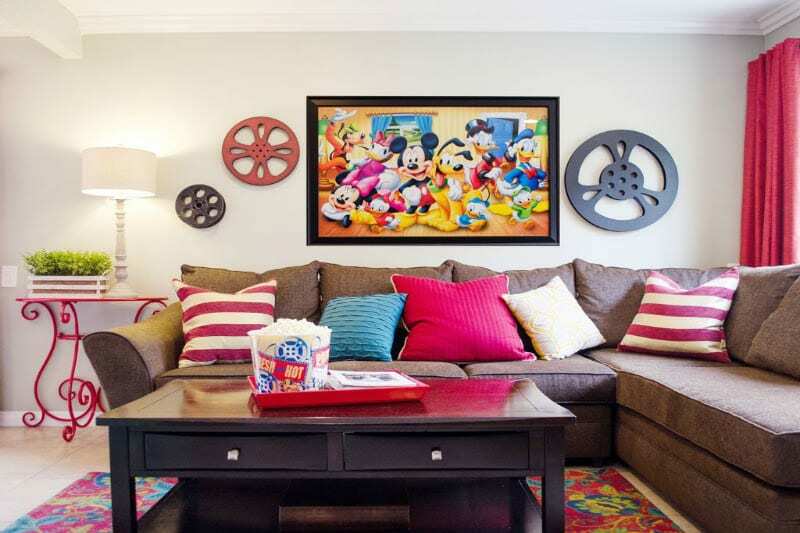 You’re so lucky you found a rental that’s only a short walk to Downtown Disney! Saving this for when we’re going back to Disneyland. I love the theme of your rental. I can see why your kids find it magical. Yay. So glad we could help you find a place for your return KAtie. It was a good deal. My sister in law found it! Wow! I wish we knew about this when we went to Disneyland. The one we rented was about 30 mins away. Haha. Oh I bet! Well I hope if you go back to Disney you can find one in this area. It was such a great location and deal! Thank you so much for these wonderful tips. This is a great post and place you visited. Lovely pictures. I don’t like hotels. It’s just too expensive. Better to ask local people about any accommodation for the night. Good luck during your travels! It’s such a beautiful rental place…and thanks for your advice about this ! !